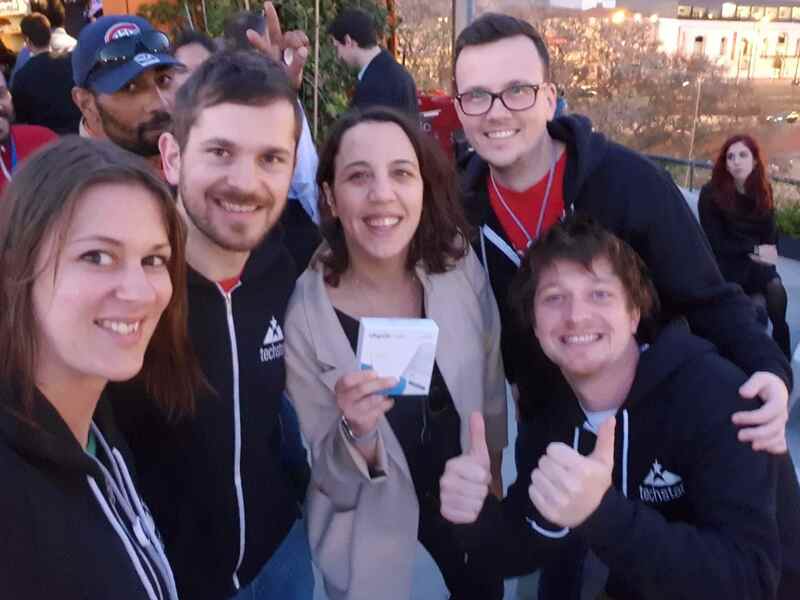 The Chipolo team is currently living between Slovenia and Lisbon, where we joined the Techstars 2019 accelerator. Whenever we travel there’s one thing that always gets us excited - meeting our users in person. In Lisbon, we found Mafalda and had a couple of beers to hear her story. Last year when I was in New York, I went to the MOMA store and saw a yellow Chipolo. I immediately knew what it was because my aunt once got a gadget like this for her birthday. I always thought I need something like this too, but I never got around to purchasing one. But in New York it was right there in front of me – so I had to buy it! I keep my yellow Chipolo in my wallet. And when I take my dog out, I move it to his collar. And sometimes when I go to work on my bike, I put it there so that I can easily find it when I leave work. In the morning, there are almost no bicycles there, but when I go home, there are dozens! I don't use Chipolo that often, but when I need it, it's there for me. It’s already helped me find my wallet around the house a couple of times. I think you guys are doing a great job, there’s really nothing I would change about the product. Thanks Mafalda, it was great meeting you!